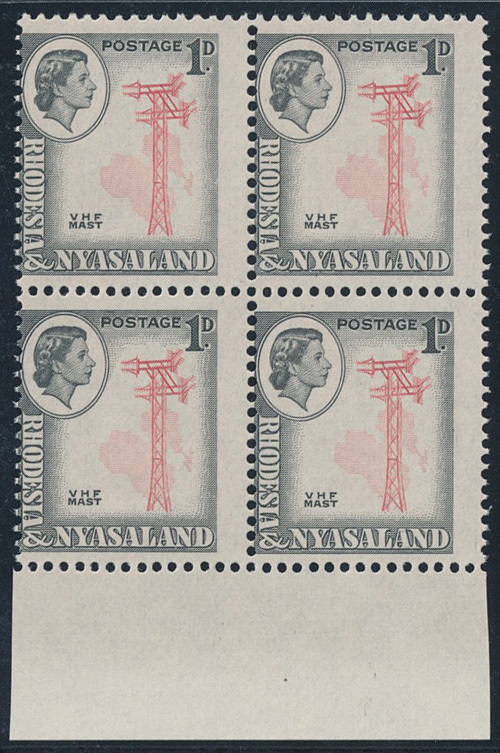 1959 QEII 1d, lower marginal block of four showing vertical shift of perforations into design of stamps. Superb unmounted. SG 19 var.